The Toyark › Military Toy News › Welcome to Military Toy News! Welcome to Military Toy News! 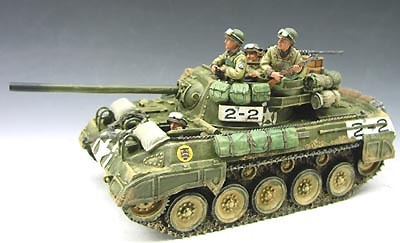 Welcome to the Military Toy News category at Toyark.com. The Toyark is a website all about one thing – TOYS! You can use this section to browse and find out about the latest information and Images related to Military and the Military Toys. As we grow, we hope to have more, this is just a starting point. You can always find the latest news and information about Military Toys at the following link: Military Toy News. You can join our discussion on the forums about Military Toys by clicking here: Military Toys. There, you can read up about it and meet fellow fans who are down with Military Toys! Looking for Military Toys in your area? Check out our sightings forums. There should be a thread on it there. These are the starting points, just browse to your area of the country (or your country) and find the thread you need! 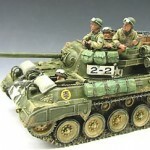 United States Toy Sightings for Military Toys, International Toy Sightings for Military. We also have a creative section where customs and fan art about Military may be available, so check it out. Customs and Fan Art for Military. And, make sure to bookmark this category or subscribe to it’s RSS feed to keep up with all the latest news on Military! Welcome to the Toyark, enjoy!